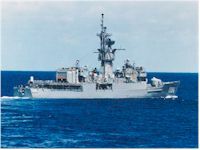 Starboard bow view of the USS Brewton near Pearl Harbor. Port view of USS Brewton with crew manning the rails. 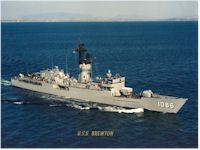 Portside view of the USS Brewton. 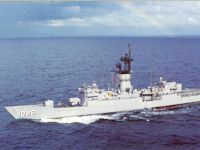 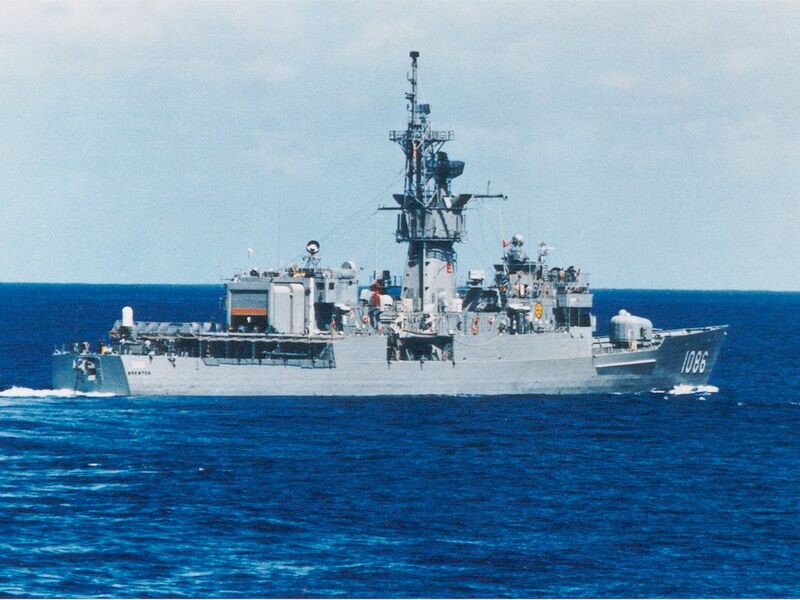 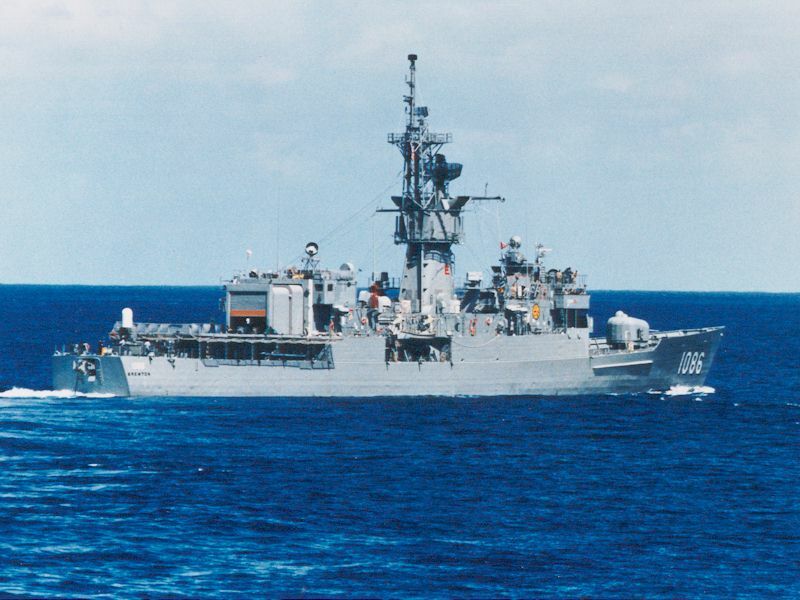 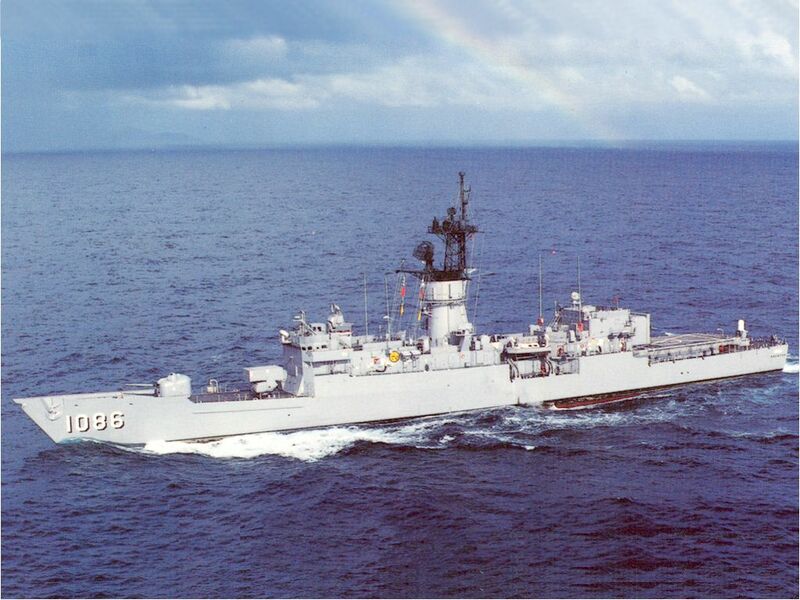 Starboard quarter view of the USS Brewton. 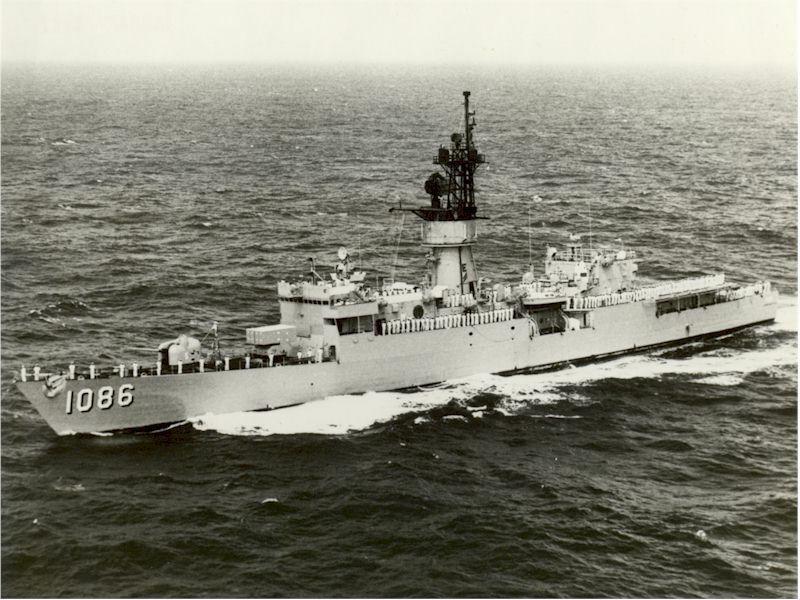 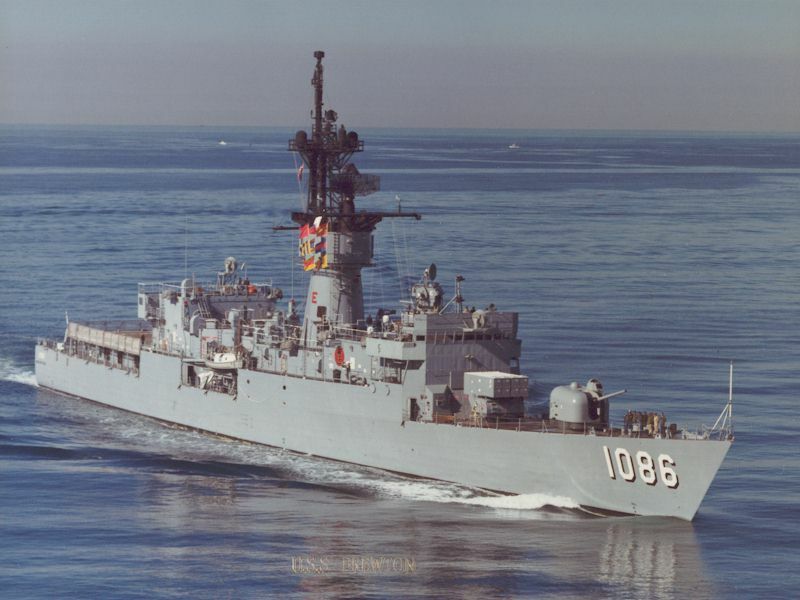 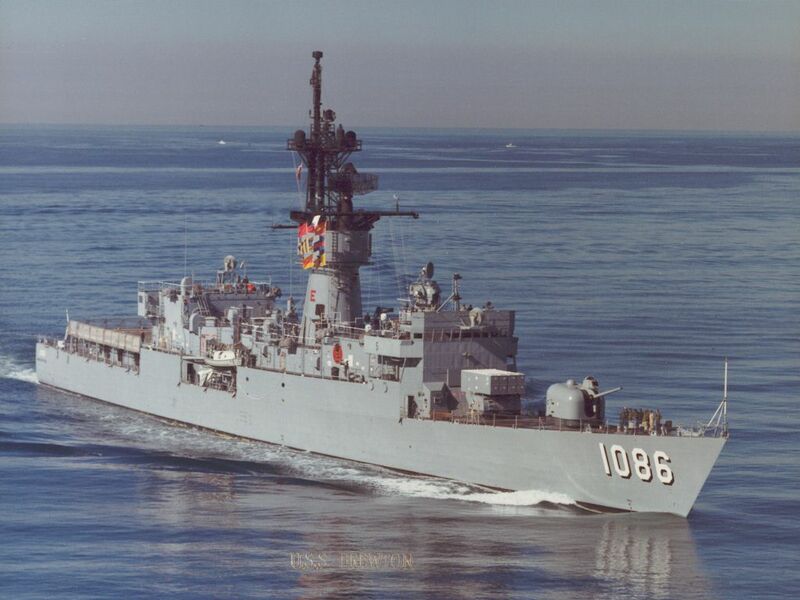 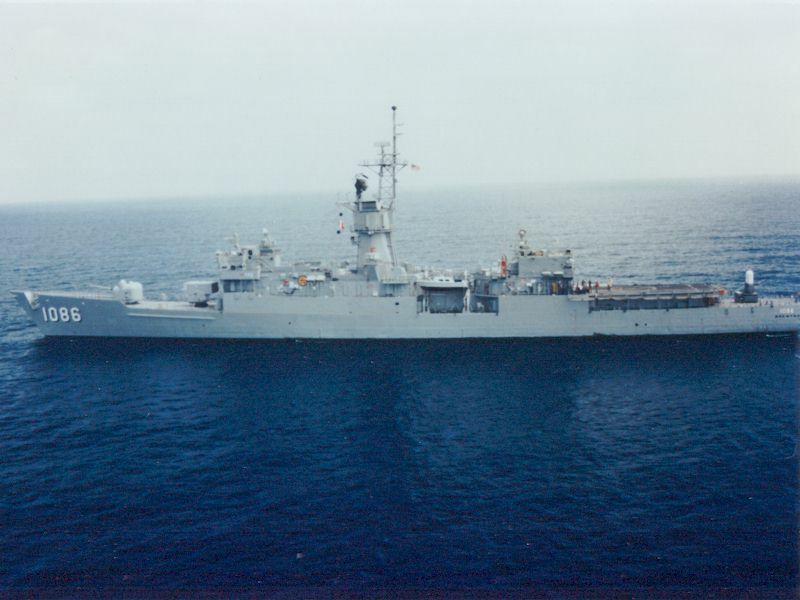 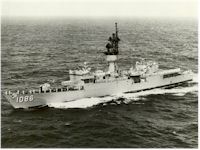 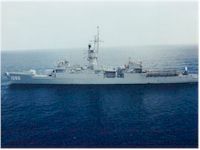 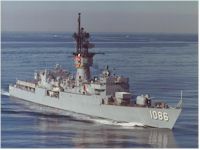 Port side view of the USS Brewton. 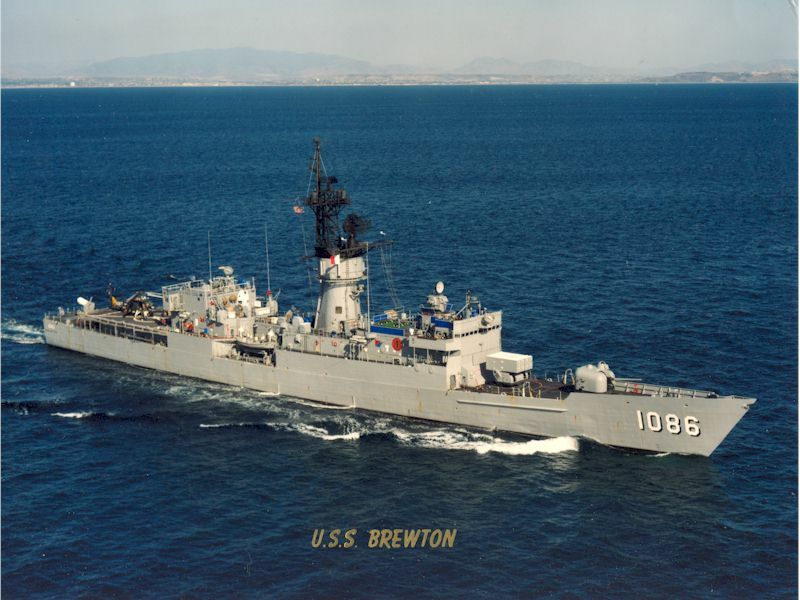 Starboard bow view of the USS Brewton.